ESO Supernova Exhibition — How do astronomers see X-rays? How do astronomers see X-rays? Energetic X-rays pass right through lenses and mirrors. To focus them, X-ray telescopes have specially positioned mirrors. Since X-rays from space are absorbed by the atmosphere, they can only be observed from high altitude, above the Earth’s atmosphere. Pioneer mission: The ROentgen SATellite (ROSAT), launched into space on 1 June 1990, allowed researchers to perform an all-sky survey of X-ray sources with an imaging telescope for the first time. Cheers for Chandra: NASA’s Chandra X-ray Observatory, launched in 1999, is named after Indian-American astrophysicist Subrahmanyan Chandrasekhar. Penetrating look: The European XMM-Newton space telescope has studied the X-ray Universe since its launch in 1999, focusing on spectroscopic observations. Luckily for us, the Earth’s atmosphere contains enough matter to absorb harmful X-rays from outer space. 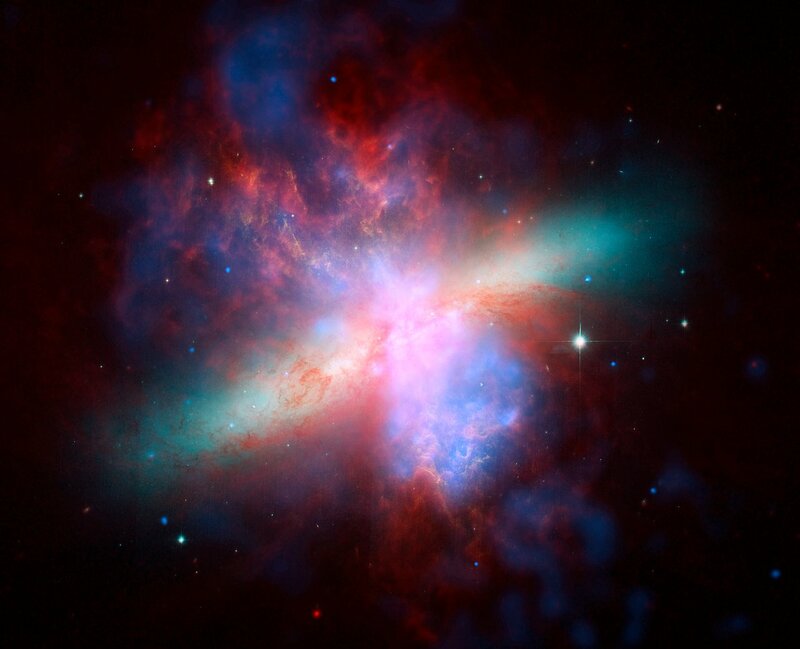 As a consequence, X-ray astronomy can only be performed in space. At present, the field is dominated by two large observatories: NASA’s Chandra X-ray Observatory and ESA’s XMM-Newton. To focus the X-ray photons, these telescopes have gold-coated mirrors, positioned so that the photons hit them at a very shallow angle. The same technique is applied by the eROSITA X-ray instrument on board the Russian Spectrum- Roentgen-Gamma satellite. Poised for lift-off: Technicians carry out clean-room tests on the German-built X-ray telescope eROSITA, launched in 2018. Ray tracing: Energetic X-rays pass right through lenses and glass mirrors. To focus them, astronomers use nested, gold-coated grazing-incidence mirrors. It’s very difficult to study X-rays coming from space. They are blocked by the Earth’s atmosphere. To see them, you need space telescopes and special equipment.